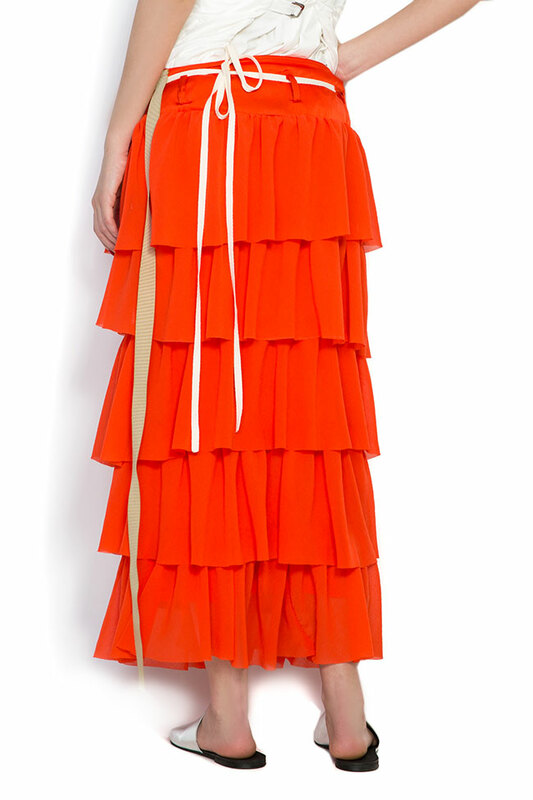 Studio Cabal's skirt is cut from voluminous tiers of ruffled orange crepe veil that fall to a flouncy asymmetric hem. 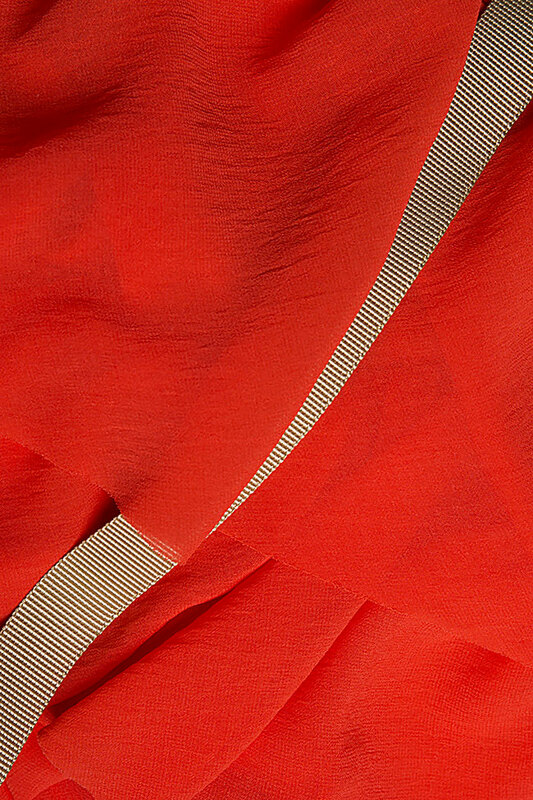 It sits at the waist to highlight the smallest part of your frame. 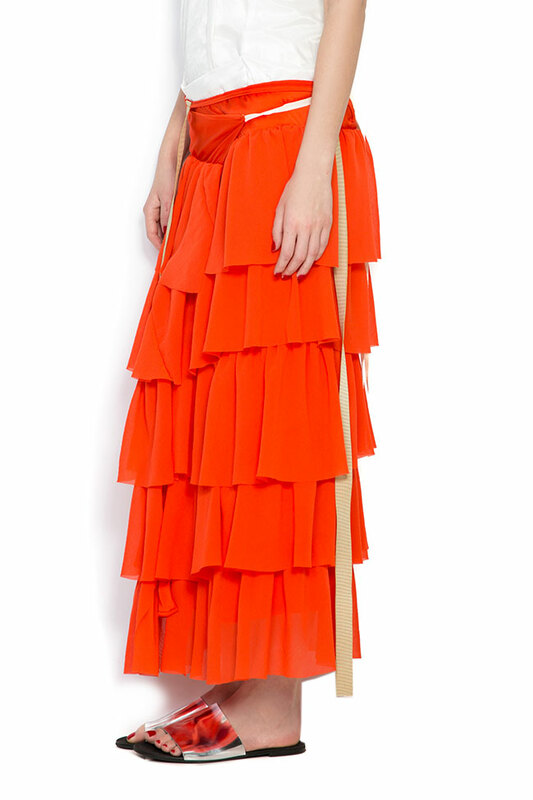 Wear it with a camisole and coordinating jewelry.